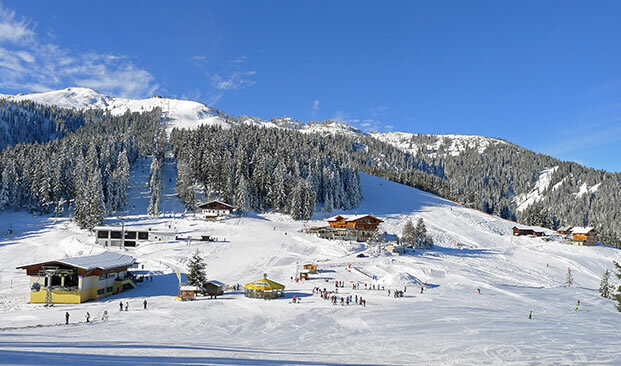 Ski Juwel Alpbachertal Wildschonau is a region of great winter accolade. The area is charming, full of character and has uncrowded slopes, a huge selection of activities and a very caring ski school making it perfect for beginners and families. 46 lifts will take you up to 109 km of piste of various grading and all with magnificent views of Rofen Range, Kitzbühel Alps and Brandenberg Alps from all angles. From Alpbach there are 250km of paths and trails for hours of walking adventures incorporating 19 circling the village ‘round hike’ routes. In addition to this, there are 14 cross country trails and four snowshoe walking routes. Small villages strewn with wooden chalets and traditional farm buildings offer tranquillity by day, and evenings in these rustic villages are relaxed and informal. You will find few cosy stüberls and bars that sometimes offer live music. There are 100 farms still operating in the area supplying ingredients for culinary delights served to winter enthusiasts. This is where you can really experience a thrill of activities, on and off slopes. Ski Alpbach! This delightful, award-winning, quintessentially traditional Austrian village with its onion-domed church, narrow streets, and minimal traffic is one of the most attractive villages in the Austrian Tyrol. Ride the new 'Alpbachtaler Lasuer-Sauser' Alpine roller coaster which reaches speeds of up to 42km per hour on its 134m descent. The regular ski buses make it easy to get between the different villages to explore the whole area. 1st time skiing – Inghams made everything run smoothly and Alpbach was the perfect resort. We will definitely return. The Alpbacherhof is an excellent hotel with outstanding facilities, friendly and attentive staff and delicious food. It is conveniently located near the village centre and around 200 metres from the ski bus stop.